A while back we were invited by The Swedish Transportation Agency (Trafikkontoret) to train 350 of their employees in the ability to collaborate. In the true spirit of Tankeapoteket, we decided to do something unconventional. Knowing that we spend more time in front of our screens than in front of each other these days, we wanted to remind people what it feels like to be truly seen, heard and understood. This might seem pretty straight forward, but we knew from experience, how difficult, unusual and scary it can be to give someone your full attention. So, we turned to the experts and in particular to The Abramović Method. This simple, but not easy, method aims to get people present and aware enough to experience the beauty of art and it was invented by one of the world’s most fascinating artists, Marina Abramović. You probably heard of her widely acclaimed performance at MoMA in New York where she sat immobile for 736 hours offering people her full attention. More recently she held a performance together with pianist Igor Levitt, aimed at presenting “Distraction-free Bach” by priming people to quiet the mind in order to experience beauty. So, inspired by the great Abramović, we set the stage for the 350 people entering the spacious room at Munchenbryggeriet in Stockholm on a chilly October morning. First, we led them through a process in which they got to use their bodies to enact their core beliefs (Do I value safety over freedom? Do I believe others have good intentions? Can I handle being wrong?). Then, we gave them a couple of minutes to close their eyes in complete silence in order to invoke a sense of presence. Then, in a space of quiet reflection, we told them to open their eyes and turn to the person sitting next to them and just look that person in the eye for one minute. After what felt like an eternity, we told them to start a conversation with that same person, based on a menu of conversation that we had placed in front of them. This menu included questions such as “what do you most appreciate in others?, “what makes you feel alive?” and “if you got to re-educate yourself today, what profession would you pursue?”. After having completed two sets of dialogues, we ended with a couple of minutes in silence where each participant got to reflect and write down their biggest insights from the experience. The collected notes gave us intriguing insights into what the experience had meant for the participants. Many reflected on how difficult and unusual it was to look someone in the eye but how easy it was to side-step smalltalk and spark up a meaningful conversation with a stranger and how interesting and multifaceted the co-workers turned out to be. There was one note in particular that has really stayed with us. One that proved that our efforts had been worthwhile and that we perhaps even generated some reflective ripple effects. “I have never in my life looked someone in the eye for that long without saying anything, not even my wonderful wife with whom I’ve been married over 20 years! It was a little strange.. and scary.. and exciting”. Can't believe it's been two months since the first-ever Gather Festival! Here is a two-minute summary of what went down during those luminous days in September. See you at Gather Festival 2018! As promised, here is a summary of what we were up to in our lab on the Night Time Economy at Gather Festival a few weeks ago as well as a list of the top trends that we believe are influencing the industry right now. The aim of the day was to explore what makes up a thriving Night Time economy. First, we welcomed the participants into a room that had been made completely dark, with the aim of manipulating time and space to make people mindful of the norms that we attach to day- and night time and question what we often take for granted. Then, we engaged them in unconventional one-on-one dialogues, talking about our human relationship to time from a psychological and philosophical perspective, introducing ideas from great thinkers such as William Blake and contemporary poet Elizabeth Alexander. After having created a psychologically safe space, we familiarized the group with some facts and figures about the night-time economy as well as some current challenges and opportunities that are facing the industry. We also introduced the group to some of the major trends we had spotted during our research including the existence of Night Time Pastors, Sleep Gentrification and 24/7 venues and provided insights into where the industry might be heading. Then, we divided the group into smaller teams to create actionable statements for a thriving a night-time culture. Using the collective wisdom of the group and dot-democracy, we selected and refined five statements that in the end resulted in a finished Night Time Manifesto. We collectively created a Night Time Manifesto, a list of the five most important aspects of a thriving Night-time culture. The Manifesto has been sent to specific policy makers and change-makers around the world with the aim of contributing to the global dialogue around what kind of cities we want in the future. Hopefully, the manifesto will influence and guide these decision-makers on their journey to creating cities that are truly alive. We are happy to tell you that Gather Festival was a great success! 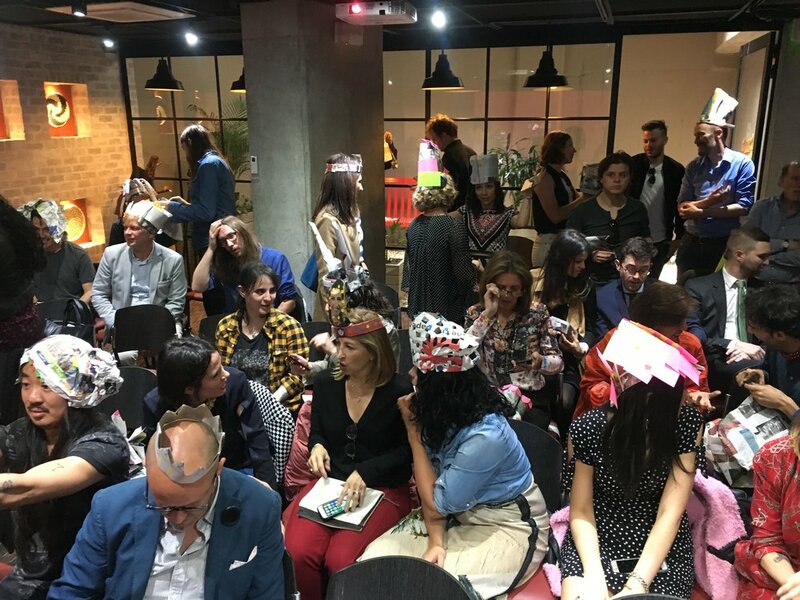 As many of you know, we were in charge of Gather Solution Labs (the innovation workshops with external partners) but we also personally led two workshops, one on the Future of Sustainable Fashion and one on The Night Time Economy. 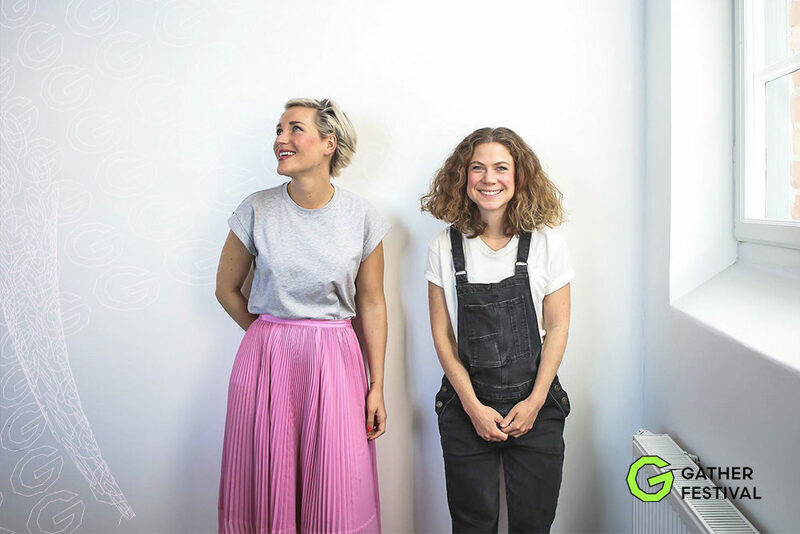 In the week since Gather, many of you have asked us what we were up to during the festival, so here is a brief summary of our lab on The Future of Sustainable Fashion as well as the top-trends we explored during our research phase and refined in the lab. Stay tuned next week for some insights from the Night-time Economy. The aim of the day was to have an informed conversation about the future of sustainable fashion. We kicked off the day with transdisciplinary dialogues, a natural part of the Tankeapoteket methodology that we use in order to establish trust and psychological safety in new groups. Then we introduced the participants to a set of definitions, facts and figures related to the current state of the fashion industry and collaboratively explored the philosophical aspects of clothes and why we wear them. 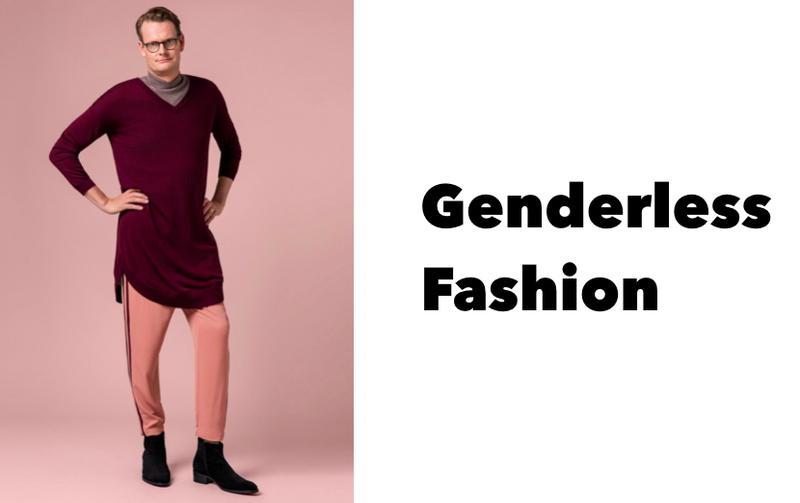 We then presented a list of the most interesting trends that we had found during our research including a wedding-dress made out of fungus, an initiative pioneering genderless fashion and a company using blockchain to revolutionize the issue of transparency. Then, in order to truly leverage from the diversity in the group, we engaged participants in a prototyping session, combining trends with personas to build and envision future scenarios. The session ended with a collective metalogue around the implications of the prototypes and the stories enacted in the various futures, spurring questions about the kind of future we want to create and what kind of decisions we need to make in order to enable a truly sustainable future for the fashion industry. The result of the lab was an open and informed conversation about the range of possible futures for sustainable fashion. A secondary result was the many new relationships created across sectors, cultures and nationalities. Now, our aim is that these conversations will continue after Gather Festival, influencing and shaping the various contexts and spaces that our lab participants inhabit on a daily basis. We were recently interviewed by Radar Collective, talking about human development, maximization fatigue and the lacking moral responsibility of computer scientists. 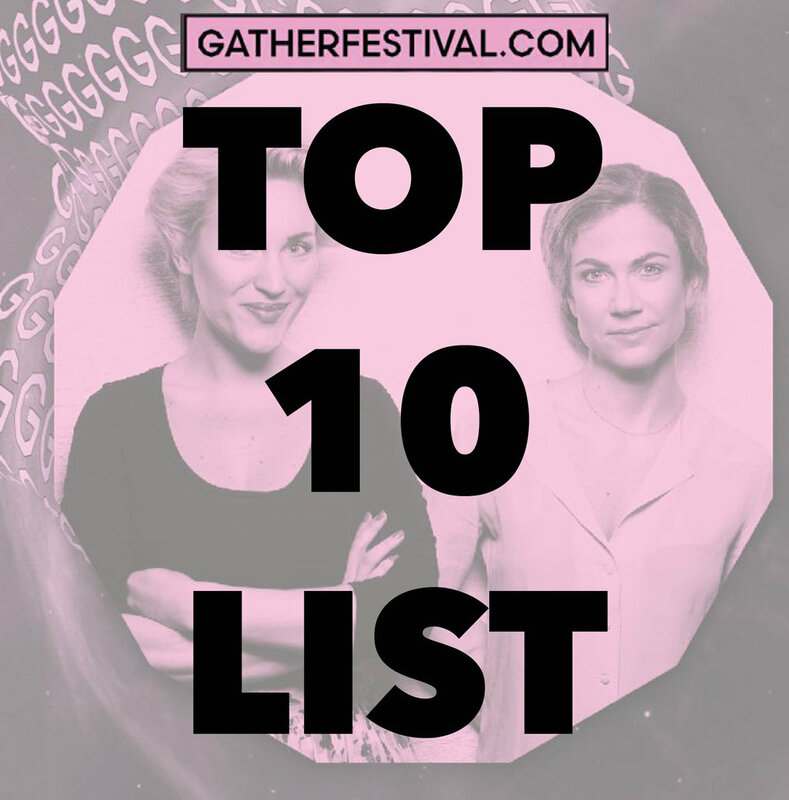 The Gather Festival is getting closer and since there will be so many cool things to do at the same time, we decided to help you out by creating our own Top 10 list of things to see. In addition to the list below (and our own labs), you have to come see the Opening Ceremony which will take place at 9AM this Thursday (14th of september) at Nobelberget. This, for sure, is not something you want to miss. Super-cool Body Architect Lucy McRae goes beyond the limits of our biological capacities and imagines our lives hundreds of years from now. This session will push the boundaries of hacktivism, disruption and art in contemporary digital culture. From afrofuturism and posthumanism to dissensus, multivocality and art as critique, this session deals with what’s on the fringes of humanity. What lies at the intersection of digital materiality, art, and posthumanism? In an era of post-truth, late capitalism and social change, this session deals with contemporary media and journalistic issues, from the transnational co-operation of the Panama Papers to the issues of online trolling. We are especially excited to hear what Claudia Olsson, a good friend of ours and a sought-after speaker on exponential technologies, has to say about the future of Blockchain and decentralized trust. In this session, we will get some fresh perspectives on VR. How can a heartbeat produce virtual environments with sight, sound, smell and touch? And how can this feedback contribute to our understanding of how bodily states help shape our realities? In this keynote session, the Cambridge physicist Kate Stone, and a young Scottish singer songwriter Be Charlotte, will work together to explore creative uses of new technology by turning everyday surfaces into musical instruments. 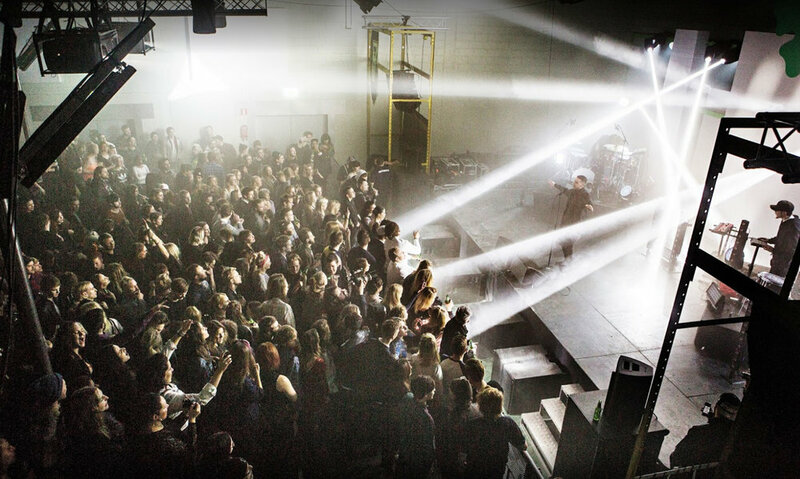 The glorious Teenage Engineering Sound System blends music-creation with physical creation of musical instruments and demonstrates their new technology before a live audience. On Saturday, Red Bull Sound Select, curated by Babak Azarmi, takes over a stage at Gather and invites you to spend the night with the future of urban music. It will be experimental, versatile and insanely good. First out is the charismatic rapper Stefflon Don, described as East London meets Jamaica via Rotterdam - dancehall and reggae in a wonderful mashup. Another great addition through Red Bull Sound Select is Lady Leshurr. The British rapper, singer and producer are seen by many as the queen of Grim. Her style has been described as fast and intense, like Busta Rhymes - but better. Omar Souleyman is the wedding singer from Syria, who has reach cult status in the western club world. His music seems to bypass all genres - mixing traditional dabke with hyperactive electronica. There are still some tickets left! Use this link and type in promocode TANKEAPOTEKET to get 20% off the price. Gather Festival is a transdisciplinary mash up of a hackathon, a conference and a nightclub and was created with the aim of democratizing innovation and taking it to the streets. Taking place for the first time ever this year in Stockholm September 14th-16th. As many of you know already, we are part of the The Gather Festival. In addition to heading the Solution Labs, we will also be leading two labs ourselves. The labs will be a continuation on the work we did in Colombia this summer together with the Swedish Institute but will be open to the public this time. 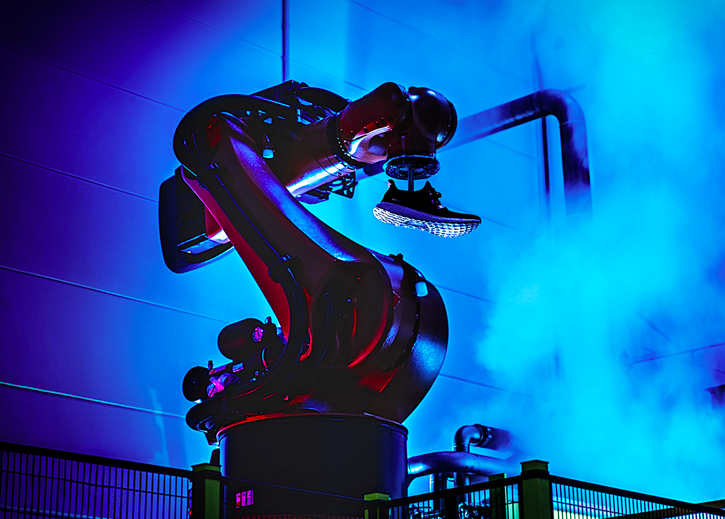 The focus of our labs will be The Night Time Economy and The Future of Fashion. There are still tickets left so make sure to get a spot! Society is changing at an unprecedented speed and so are our ideas about space, time and nature. The nine-to-five way of working is becoming more and more outdated as people chose to define their lives according to their own needs and preferences, rather than the dusty rules left over from industrialization. We believe it’s time to rethink the idea of night time and explore ways of making optimal use of the resources we have in order to create cities that are truly alive. In this 3-hour speculative session we question old modes of thinking and take a step into the future to reimagine the city of tomorrow. What kind of services could we offer an emerging group of night-lovers? How about 24/7 open banks, late-night cooking classes or evening childcare? Perhaps, the evening owls among us could get sweaty during Midnight-Yoga, attend a Mixed Reality course at dawn or spend a few hours during the day in one of the many popular deep-rest studios? This session, led by Tankeapoteket, will combine insights and ideas from the edge of the night-time economy with strategic discussions and exercises from the realm of transdisciplinary design. The goal of the session is to develop ideas for future action and create new relationships across a variety of sectors. In a world faced with wicked problems such as global warming, rising sea levels and poverty, we all have to rethink the way we consume and produce. Sustainability has been on the agenda for many years now, but what does a triple bottom line look like in practise? Is it possible to combine a dedication to sustainability with a business model relying on fast fashion? What are the biggest factors influencing the world of fashion today and how can we deal with the challenges of the future? These questions, and many more, will be addressed during this 3-hour speculative session on The Future of Sustainable Fashion. This session, led by experienced process leaders from Tankeapoteket, will combine lectures from the edge of sustainable fashion with strategic discussions and hands-on exercises. The goal is to initiate a transdisciplinary dialogue, explore and build actionable prototypes and establish new relationships within and across the global creative industry. The participants will include creatives from all over the world, including fashion designers, artists, creatives and entrepreneurs from Colombia, Mexico and Sweden, engaged in an ongoing exchange initiated by the Swedish Institute called Sweden@Colombia. The session will also welcome participants of Gather festival who have an interest and a willingness to share their ideas and experiences on the topic. Much <3 and hope to see you all there! We went to Bogotá, Colombia, this summer to explore the future of the creative industries together with our friends at The Swedish Institute, The Swedish Ministry of Culture, The Swedish Fashion Council, STHLM Music City, SNASK, Orten.io and Pins Collective. Here is a short glimpse of what we were up to. We met on June 6th to initiate the project Sweden@Colombia with an interdisciplinary group of artists, fashion designers, music producers, economists and night-life entrepreneurs from Sweden and Colombia. During our first networking session we introduced participants to each other and visualised the collective know-how in the group. The aim of the workshop was to create new relationships within and beyond the creative industries through combining transdisciplinary lectures with strategic dialogues and hands-on exercises. The space was designed to ensure psychological safety, nurture creativity and give people a safe place to question and explore hidden basic assumptions. On June 8th we re-gathered the group for a speculative second session. This time, the aim of the workshop was to create an informed conversation about the future of the creative industries. By giving participants new tools and methods for approaching the challenges and opportunities ahead, we hoped to inspire new cross-cultural collaborations and a continuous know-how sharing between the Swedish and Colombian participants. Throughout the two sessions we collected insights and ideas that sprung from the group in order to inform the next meeting that will take place at Gather Festival in Stockholm in September. Recently, we were interviewed by Plaza Woman on the topic of creative workspaces. The topic was indeed right on target, seeing as how we consider ourselves extremely lucky having our office behind a small glass door in the middle of the second floor exhibition space at Fotografiska, the Museum of Photography, here in Stockholm. We took the opportunity to talk about what inspires us, why we adore Marina Abramovic', what we do to stay focused and what our plans are for the future. Make sure to get a copy - in stores now! With christmas just around the corner, we thought it might be time for some reflection. Time tends to pass by quickly when you are trying to ‘live out loud’, to paraphrase Émile Zola. Our 'loudness' has involved speaking about elastic minds in New York City and curating Zen-inspired exhibitions in Ahmedabad, India. We have written a museum manual, trained the Ministry for Foreign Affairs in Design Thinking and produced a new television show. But let's start at the beginning. We stood before the premiere of our first Thought Salon at Fotografiska - the Museum of Photography, a collaboration that would be much larger and more extensive than we would have ever guessed. The concept of the Thought Salon, which was designed to make Fotografiska into a more social place by creating conversations between strangers using the art of photography, was a success, which we then repeated in connection with other exhibitions including Guy Bourdin, Erik Johansson and Martin Schoeller. The summer began with a graduation from The Stockholm School of Economics and ended with two separate trips to India. One of us went to Pune to explore social innovation and design thinking as tools for finding new ways of preserving cultural heritage in urban areas. The other went with Stockholm School of Entrepreneurship to Ahmedabad and National Institute of Design to explore whether India 'invented' postmodernism and what happens when you combine Zen Buddhism with Socrates. In connection with Tankeapoteket’s first birthday, we were invited to Vinnova, the Swedish Innovation Agency, to explore the future of innovation. We explored global and economic trends, and the types of inventions that might shape our everyday lives. We prototyped the future, used storytelling to design scenarios and discussed possible consequences. Later during the fall, we arranged a day for the Swedish Ministry for Foreign Affairs, in collaboration with Openlab. By gathering ninety ambassadors from all over the world in Stockholm, we were able to create global activations promoting the brand of Sweden using tools from Design Thinking. In collaboration with our good friend, SSES, we were given the opportunity to lead a Good Morning Session with Stephan Sigrist från W.I.R.E and Hlín Helga Guðlaugsdóttir, under the theme of White Noise and why an information-based economy needs more common sense. 2016 began with the largest and most comprehensive case in the Tankeapoteket history. Fotografiska - The Museum of Photography, were about to expand on a global scale and needed our help to consolidate, analyze and record what constitutes their organizational culture - from the most concrete (how coffee is brewed and exhibitions created) to the most abstract (the values that guide behavior and why they do what they do). We switched gears, became cultural anthropologists and began a year of interviews, observations, writing, thinking and more writing. Spring came and brought with it a much needed break from manual writing, and a long-awaited trip to Tankeapoteket’s Mecca, a.k.a New York City. We had been asked to open the annual Verge NYC conference at Parsons School of Design. In our lecture, "Cultivating Elastic Minds for the Future," we talked about elastic skills, social design, transdisciplinarity, reciprocity and Negative Capability. After the conference, we went to Washington D.C. to meet one of our favorite authors of all time, Daniel Pink, for an incredibly exciting conversation about curiosity, intuition and chance. Back in Stockholm it was time for another workshop, this time in collaboration with our supercool friends at Another Tomorrow, to investigate ways of making Global Child Forum's events more socially efficient. We trained the participants in social validation and they learned how to create their own app in twenty minutes. The summer came and went and well back at the office, we were honored to firstly be named Women of the Week and then asked to speak at The Medea Prize for Performing Arts. We took this opportunity to explore the nature of secular-sacred places and how that is connected to Rumi's public secret, why subways are so depressing and how museums can become engines for empathy. We played distraction-free Bach in order to make visualize the dangers of blunted senses. We talked about Thin Places, those spaces where heaven and earth seem to collide, and explored ways to recreate them in a secular society. As true Creative Generalists, we have also ventured into unexplored areas of expertise. In our new television show, Rethink, we step outside the filter bubble to explore new perspectives on timeless themes. Is romantic love relevant in today's society? What are the economic consequences of unrequited love? Are we losing something when reality becomes virtual? And what does power look like in the age of the internet? So, here we are. At the end of the most exciting one yet. Hope you’ll join us into the next. We are excited to announce that we are going back to New York next week! This time we are honored to be among the amazing speakers giving our take on Elasticity at the annual VergeNYC conference at Parsons School of Design! We will run a workshop on Cultivating Elastic Minds for the Future and help curate the evening conversations with questions exploring everything from neuroplasticity and Alan Watts to creative boundaries, speculative design and the ever-changing nature of personal narratives. Verge revolves around transdisciplinary conversations that gather interesting experts and opinion-leaders from diverse industries to shed light on Elasticity form different perspectives. Click here to read about our adventures during last year's Verge conference on the theme Action in the Face of Uncertainty and see below for the video from last year. During this session we will talk about how we as Social Designers at the Swedish start-up, Tankeapoteket, are paving the way for a conversational renaissance. We will tell you about how we are using the art of dialogue to increase empathy, creativity and trust in everything from banks and universities to app companies, governments and museums. We will introduce you to the DNA of Dialogue and how that is connected to cultivating elastic minds, wicked problem-solving and resilient organizations for the future. Dedicated to stretching minds and broadening horizons, we are excited to give you time and space to meet in new ideas and unusual conversations. VergeNYC is a three-day design event organized by students at Parsons School of Design, along with design and community partners. We bring together leading thinkers, field experts and change makers to galvanize a movement towards Transdisciplinary Design. In our upcoming conference from February 24–26, 2016, we will be exploring the theme of Elasticity. What does an elastic future look like, and how might we design for it? DAGS FÖR NY TANKESALONG PÅ FOTOGRAFISKA! Nu är det äntligen dags för ny Tankesalong på Fotografiska! Denna gång tar vi oss an Guy Bourdins utställning Avant-Garde och Martin Schoellers utställning Up Close. Nu på onsdag den 3 februari klockan 19:00 bjuder vi in till en kväll som inspirerar till tankeväckande konversationer. Följ med oss på en kväll där idéer får liv och samtalen skapar nya insikter. Från klockan 19:00 möter vi er i foajén. Där får ni vidare instruktioner på hur ni kan ta er an utställningarna med nya ögon. 20.00 samlas vi i baren. Varmt välkomna önskar Tankeapoteket och Fotografiska! "A satisfying conversation is one in which you say what you have never said before"
Today we held a workshop for the Ministry for Foreign Affairs in collaboration with Openlab. 90 ambassadors from all over the world gathered to solve the world's problems through creativity and design! The focus of the day was to explore how the practice of Design Thinking can be used to come up with innovative ways of promoting a strong, broad and accurate image of Sweden abroad. In order to make the process as tangible as possible we decided to focus on one specific target group: Connectors. Using the first step of Design Thinking, “Empathy”, we immersed ourselves in the lives of this specific group, trying to understand their needs and behaviors in order to design experiences that provide them with maximum value. After having extracted insights and selected specific needs to focus on, the participants got to create prototypes and scenarios while “thinking with their hands”. Adding our own flavor to Design Thinking, we included plenty of time for immersive sensemaking, giving participants time and space to meet in meaningful conversations. By encouraging transnational dialogues we wanted to leverage as much as possible from the group’s internal tacit know-how. The workshop was a great success and we hope to continue turning wicked problems into tangible solutions in the near future! What drives our need to capture moments in photographs? Today we were invited to host a workshop for the teachers at Fotografiska's Academy. Together we explored mega trends and created future scenarios where participants were encouraged to "think with their hands" and turn ideas into reality. Talking about the future of interaction, we explored big questions such as: What drives our need to capture moments in photographs? What is the future of learning? And how can we design experiences that involve all the senses? The future of photography: Going back to the analogue? What are the psychological mechanisms driving our desire to communicate through art? Creating prototypes and telling stories to build empathy and understanding of the customer. Participants prototyping a scenario and "thinking with their hands". We have some exciting news! 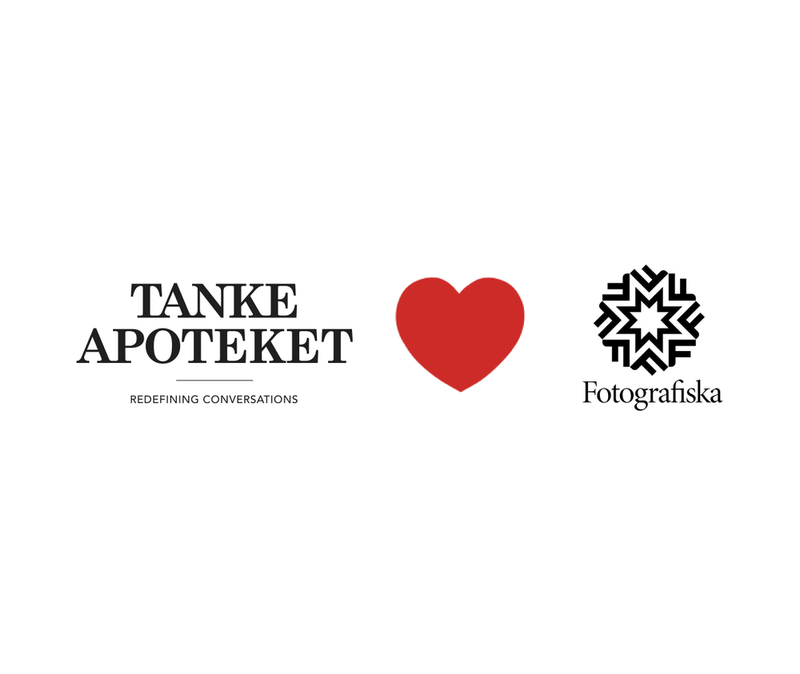 Tankeapoteket is now offering creative workshops and lectures together with Fotografiska, the museum of photography in Stockholm! The workshops will be centered around topics of creativity, communication and future-thinking and involve insights and methods from a range of disciplines including psychology, design, business and architecture. Follow this link to add a creative flair to your next conference, meeting or event. Every day we shape our future. The way we think, act and interpret our surroundings greatly effects the reality we experience. In order to remain relevant in a time of constant change, we must deal with the future in a tangible way. During this workshop you will explore future scenarios, learn to "think with your hands" and develop skills to analyze important trends in your business environment. A world in flux requires new ways of thinking. But what is creativity and how can we become better at it? During this practical workshop you will develop your ability to see patterns, understand the big picture and create new connections. We tell you why attention is the most valuable resource of the future and how you can learn to make the most of it. We have so many meetings. But how can we make them more effective? During this practical workshop you will learn how to optimize the time you have together. We introduce the latest research on positive and negative communication and help develop your skills in the art of conversation. Perfecting the skill of getting lost in rickshaws. When the five of us met for the first time at the Stockholm School of Entrepreneurship, approximately one week before leaving for India, we were all told three things: your senses will be assaulted, you will return a changed person and chances are the experience will turn out to be unsayable – that is too complex and multifaceted for our limited imagination to make sense of. All three statements turned out to be true. Still, in order to give you a flavor of what we were up to during those amazing days I will stretch my cognitive capabilities and do my best to connect the dots of this crazy experience. National Institute of Design in Ahmedabad, India. Out and about in Ahmedabad. The first thing that struck me when stepping out of the cab and onto the streets of Ahmedabad was the extreme contrasts. If Stockholm is quiet, clean, conformist, cold, individualistic and secular then Ahmedabad is loud, dirty, rebellious, hot, communal and religious. I quickly realized that I had left the land of moderation for the nation of exaggeration. Luckily, I was not alone but accompanied by a group of wonderfully bright minds from the all over the world (Sweden, Poland, Brazil, Germany and Turkey) covering a large part of the academic spectra (Psychology, Engineering, Design, Public health and Economics). And if this diversity weren’t enough, we entered the National Institute of Design with the task of exploring the development of post-modernism in India with the tools of design thinking. Looking for signs of post-modernism. A hindu temple in downtown Ahmedabad. Entering the N.I.D campus was equivalent to opening the doors to Narnia. Leaving behind the busyness of the street and the madness of a traffic system without lanes, lights or rules, we found ourselves in a giant beautiful green garden with wild peacocks, monkeys and outrageous drama students. During the first day we were introduced to the interdisciplinary campus and given a lecture by professor Ronald Jones on the difference between modernism and post-modernism and what black holes has to do with John Keats and the ability to live with ambiguity. Professor Ronald Jones talking about negative capability, poetry and NASA. Random peacock taking his daily stroll through the N.I.D campus. Entering the campus of wild ideas and wild animals. We were soon divided into groups and given our first assignment: to venture out on the streets of Ahmedabad to look for subtle signs and symbols of post-modernism. A day spent practicing the art of looking at the world through the eyes of an ethnographer revealed interesting findings that we brought with us into the design process. Well versed in the values of post-modernism we then spent a day in Gandhi’s Ashram getting to know his way of life and the intricacies of experience design. Back on campus we were ready for the main assignment: to create our own exhibition exploring post-modern India through the art of experience design. At Gandhi's ashram exploring the future of experience design. The following days were spent in thrilling conversations about art versus propaganda, if inclusion can lead to the dilution of culture, how sustainable progress will become possible and whether non-violence is a useful method in the 21st century. Accepting the nature of post-modern thinking we soon rejected the existence of a universal truth and agreed to base our project on asking the big questions. We created a full-sized labyrinth titled “walking paradox” where the Zen-inspired tradition of mindful walking merged with the Socratic notion of public dialogue. Another group used mirrors to confront guests with questions about their own basic assumptions, one created an art-show displaying contemporary paradoxes and yet another presented a visual timeline connecting the abstract with the concrete, taking the visitor on a journey from the inside of a black hole to the multi-sensory experience of riding a rickshaw in downtown Ahmedabad. Proud designers showing of their final exhibition. Despite a couple of virus-infused Pepsis and a Dengue-mosquito in the mood for Scandinavian blood, the trip was a mind-blowing experience that I will never forget (and likely never fully comprehend). What I do know is that I met a group of people with whom I now share a bunch of wonderful, crazy and confusing memories that I hope we will laugh about for years to come. Thank you Stockholm School of Entrepreneurship, The National Institute of Design and my fellow comrades Clara, Lara, Savas and Piotr for making this possible. A Socratic Symposium for the 21st century. Earlier this summer, right before the political week in Almedalen, we held a workshop for members and friends of the Swedish Incubators and Science Parks (SISP). The idea was to gather a group of diverse people from all over society and engage them in transdisciplinary conversations about the future of innovation, human creativity and entrepreneurship. During the workshop we introduced our thoughts on how transdisciplinarity and design thinking can help adress wicked problems, how the skill of dialogue can be cultivated and how the concepts of serendipity and neuroarchitecture is helping to reshape the way organizations work with creativity in the workplace. Johanna talking about the role of empathy in purposeful dialogue. The workshop ended with a Symposium where participants got to meet each other in mind-stretching conversations, combining ideas from art, science and culture to discuss matters of self, work and the meaning of life. Our tailor-made conversation menus introduced guests to a variety of thoughts spanning from Wittgenstein's view of language and understanding to the limits of neuroscience and the relevance of thinking clearly in a world of distractions. Grilled salmon served with questions about courage and loneliness. The event was an opportunity for people to come together and reflect on the bigger issues of life and get to know each other on a deeper level before entering the hectic, stressful and often demanding environment in Almedalen. What if Museums Were More Social? What happens when we really stop and pay attention to our experience? We both love visiting museums and other cultural cathedrals for the new impressions, thoughts and perspectives that they often give rise to. However, all to often we would leave an exhibition feeling inspired and curious but lacking someone with whom to share and make sense of these new insights in depth. We started thinking about creating a community around the museum experience, a time for reflection and dialogue where visitors could meet and mingle with new ideas, people and perspectives. The purpose being not only to explore the depths of the artistic intention but to connect the experience to a wider palette of thoughts form art, science and culture in order to highlight the universal within the particular. Earlier this summer we were finally able to turn our vision into reality together with Fotografiska, The museum of photography in Stockholm. Our first Tankesalong took place on June 3rd and revolved around Martin Parr's exhibition Souvenir. Below you will find some of the highlights from the evening. At 6PM we welcomed visitors by handing each of them a folder containing one of four different ways of experiencing the exhibition with new eyes. Some were instructed to explore the photographs from different perspectives, others to focus on and question what they found most boring and others to look for patterns across the exhibition. The purpose was to bring attention to the subtle things that we often take for granted and to switch off the autopilots that all to often determines our reality. Four different ways of experiencing the exhibition with new eyes. With booklets in hand guests got to make their own way through the exhibition, noticing details and paying attention at their own pace before meeting up with us an hour later at the top-floor. Why do we put up with incessant small-talk? What would Socrates do? At 7PM we all met at the live-stage where we introduced the purpose of the event and provided some short background on the history of conversation from Socrates and Plato and the Salons in Paris, to Freudian psychoanalysis, instant messaging and social media. Using the colored folders we divided people into pairs where they got to discuss questions connecting the exhibition to broader reflections on love, meaning, work, culture and identity. Connecting "blues" to "reds" and "yellow" to "greens"
After 20 minutes of dialogue we divided people into new pairs who got to explore a new set of questions from our tailor-made conversation-menus. "What is it like living inside your head?" "Parr says that we need the bad in order to understand the good. What is the purpose of cheap entertainment?" After another 20 minutes it was time for a new change of partner and one last session of conversation. "What do you most appreciate in others?" 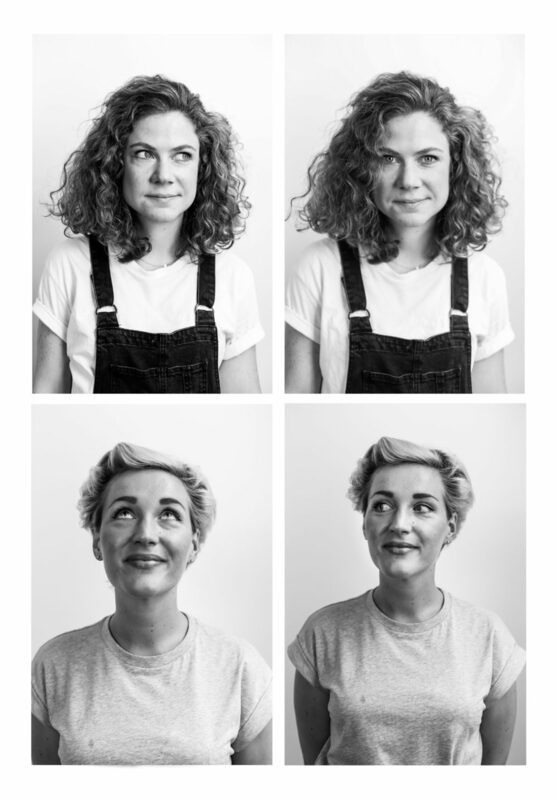 We had a lot of fun and hope to bring the concept back to Fotografiska later this fall! Also, click here to listen to us talk about the event in the podcast Fotosidan. Earlier this spring we were invited to New York and to Parsons School for design with the purpose of exploring the future of mobility in gridlocked cities. Arriving as an interdisciplinary group from Stockholm we were soon divided into teams with extraordinarily talented students from the MFA in transdisciplinary design. What followed was an amazing couple of days where we, in the spirit of design thinking, set out to observe actual needs and ideate out-of-the-box solutions using the tools of speculative design. Here are a few highlights. On the first morning we were given an unusual task: Travel to a part of the city that you have never been, using a mode of transport you never used before. Look for signals from the future. After collecting a few somewhat questionable items from our new borough, we travelled back to the studio in Manhattan for some brainstorming around how public transport could become a more attractive alternative to the car. Our first prototype was a floating bank that would be able to serve multiple functions after rising sea levels had put lower Manhattan under water. Future scenario and speculative design: What if lower Manhattan was under water? During the second day we decided to take a more realistic approach and developed a bus for the future. The idea was to create a bus that would decrease the time-sensitivity of its passengers by tailoring to their needs of comfort, tranquility and connection.The result was the Tribus (which you can see us roleplaying into reality at the top of the page). Other projects included ways of manipulating time by dividing the city into different time-zones, creating a way for senior citizens to control traffic lights and turning a crowded subway-commute into a meditation session. After an intense workshop we were invited to participate in the first ever Verge NYC conference, a student led design event bringing together creative thinkers, field experts, and change makers to Parsons. During a couple of inspiring days we got to experience everything from jazz-improvisation to purpose-driven workshops and creative movement. A fantastic initiative that we hope to bring to Stockholm in the near future. All in all, an amazing opportunity to experience the power of transdisciplinary design in tackling wicked problems. A big thanks to SSES, Parsons and Ford for making this happen! "Måste vi överdriva samtiden för att se våra egna mönster?" Denna fråga och många fler får ni chansen att diskutera nu på onsdag den 3 juni när vi bjuder in till världens första Tankesalong! Om eventet: Upplevelser ger mer om man får möjlighet att samtala om dem efteråt. Från klockan 18:00 bjuder vi in till en kväll som inspirerar till tankeväckande konversationer. Med utgångspunkt i Martin Parrs pågående utställning ”Souvenir" tar vi med er på en resa genom konst, kultur och vetenskap. 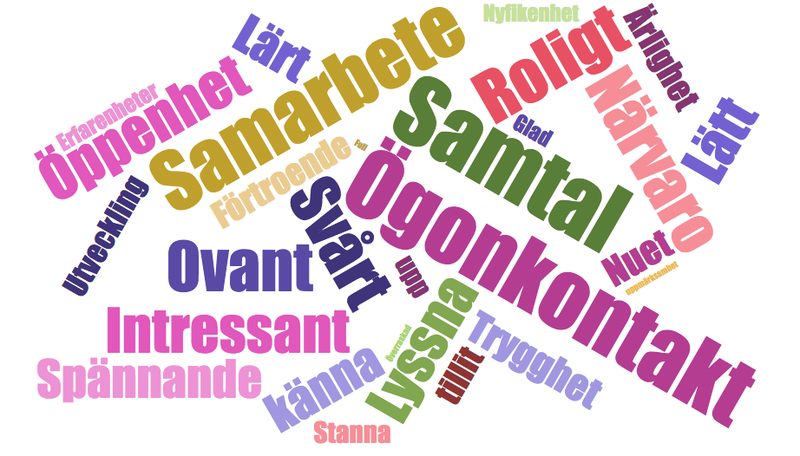 Med skräddarsydda konversationsmenyer ger vi er möjligheten att delta i samtal som förundrar, förändrar och stimulerar till nya insikter. Möten att minnas, helt enkelt. Från klockan 18:00 möter vi er i foajén. Där får ni vidare instruktioner på hur ni kan ta er an utställningen med nya ögon. 19.00 samlas vi vid Livescenen på vårt översta plan för en kväll utöver det vanliga. Vi avslutar formellt klockan 20:15 men ni är givetvis välkomna att hänga kvar och fortsätta samtalet.